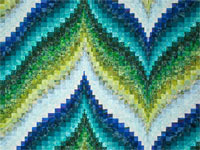 Here is a "think twice and cut once" type of bargello pattern. 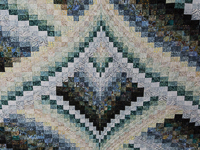 A striking and complex Bargello design with 24 gorgeous Batik style 100% quilters cotton prints in blues, teals, blacks, and creams selected by C Jean Horst. 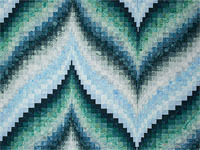 This is a beautiful variation of the traditional bargello quilts. 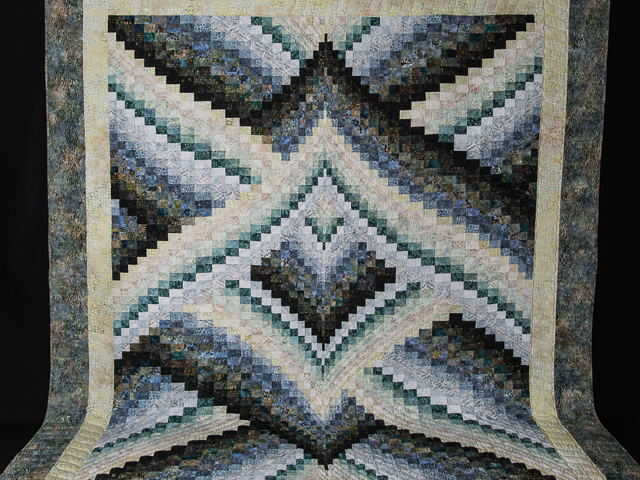 Note the care taken with the complicated piecing, and the fantastic border fabrics. 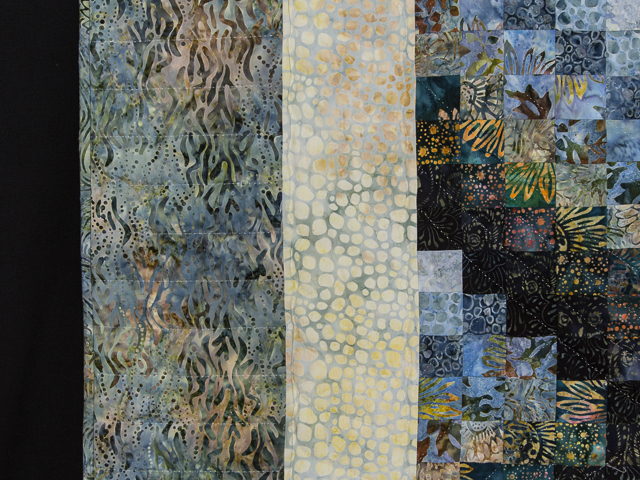 Signed by C Jean Horst. 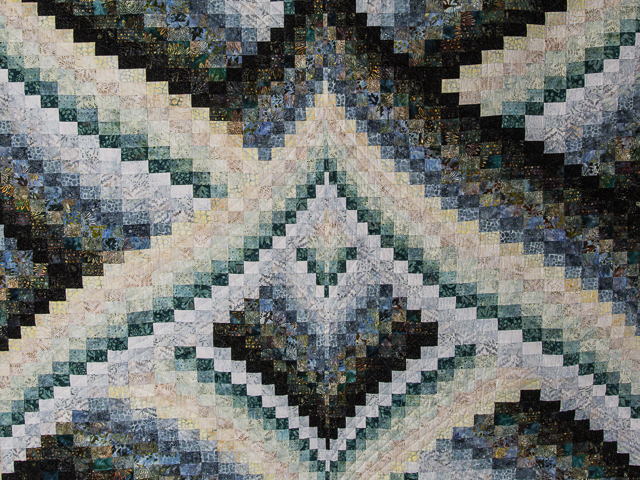 Another interesting and beautifully created American made quilt that is extremely well made and striking! 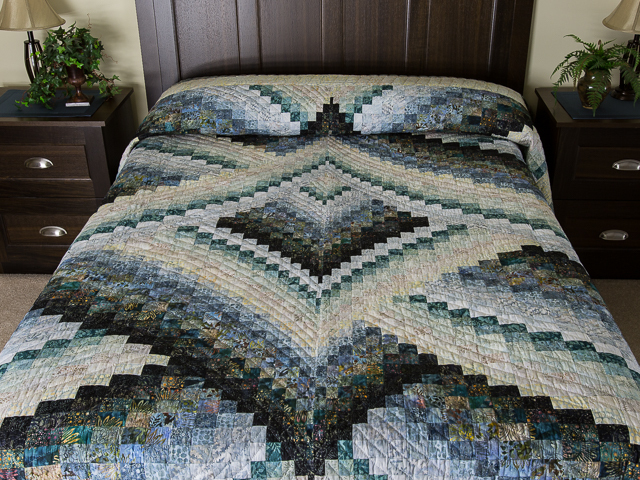 A subtle neutral/tan 100% cotton print covers the back of the quilt. 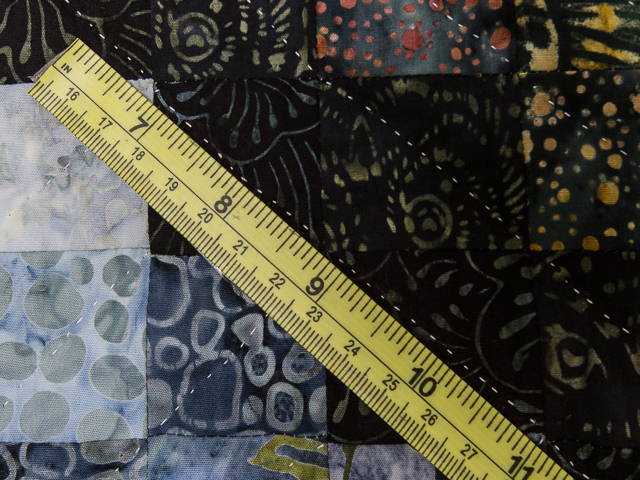 The quilting density is good, averaging about 80 linear inches of stitching per square foot. 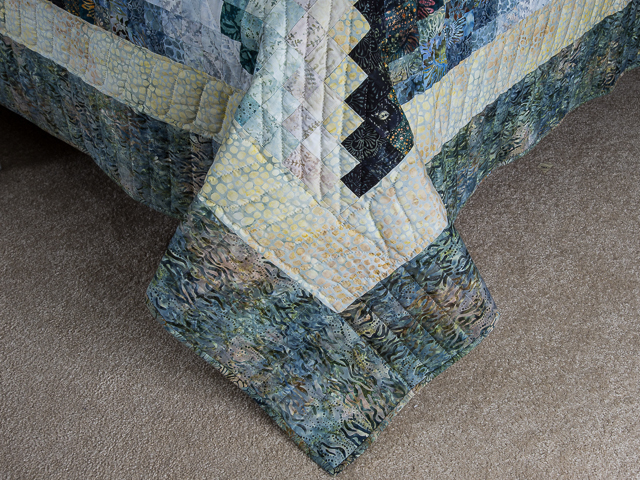 The stitching is very good with about 8 hand quilted stitches per inch. 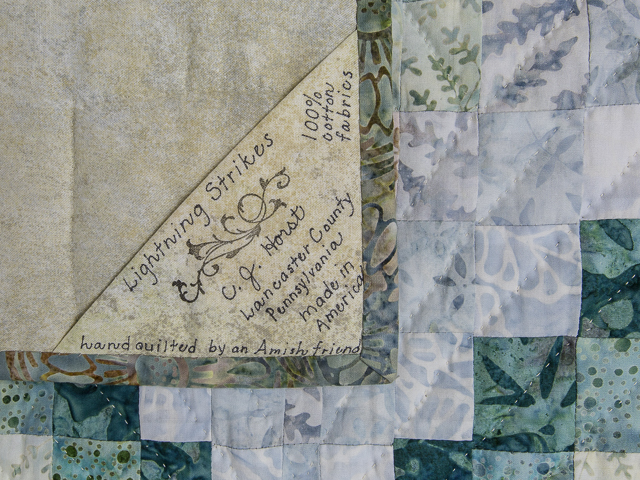 The back corner tag has name, location, and maker documented and also a note about being Amish hand quilted and made in USA. A high quality quilt.